Sudipto Das believes music can heal, and that is exactly what he has experienced by performing live, through his band is no different. Music is a channel to express and heal, and that’s exactly what pushes individuals to choose the path. The tale behind my tryst with Kohal, the band I’m part of, is no different. It was about a decade ago, when a bunch of us decided to kick start the band – with not much of an insight, but an innate passion towards creating music. Despite a mamoth difference in terms of development in the music scene, if there’s one thing that hasn’t changed, it is the challenge bit. Irrespective of how well placed a band is, or how promising the band is perceived to be, musicians have to struggle it through... and I’m not even getting to the venue challenges or the pay delays. It was tougher in 2007, and it is still tough. So, the only way that a band get through, is by developing that special rapport with each and every member. You’ve got to develop that first. I also believe it’s important for musicians to be patient – band members go through personal turmoils, so jamming together may not always seem like the perfect idea. A lot of performance venues have become more accomodating and therefore, it’s safe to say that we are heading towards a phase where musicians don’t need to hound artist managers for recommendations to play or practise at a particular space. It is important to go slow, and take that break, if need bee – to sustain and survive in the music business. This was pretty much our views as a band. And it wasn’t too long when we decided to get back to jam together and indulge in long sessions of bhat - un untranslatable slang from our KGP days! The term, figuratively, refers to nonsense banter – appeared very attractive. What else could be a better “me” time for all of us? That’s how Kohal got things put together in the year 2007. And that is exactly how we transitioned from being a casual college band to an act of genuinely passionate musicians. 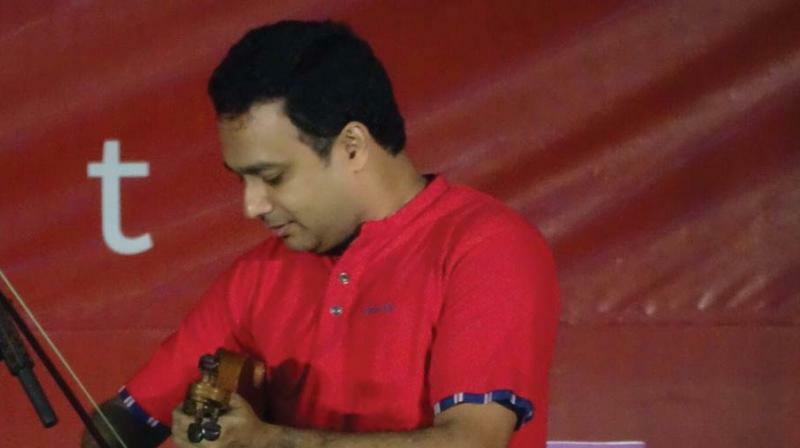 Kohal has been performing annually at various events in Bengaluru ever since. Apart from the popular cover versions in diverse genres like Bollywood retro, Rabindra Sangeet, folks of various parts of India, Adele, Norah Jones, Elvis; we have also performed a few of my original compositions.Among our notable performances are the distinctive rendering of verses from the Rig Veda and the lesser known later paragraphs of India’s National Anthem. Looking back, if there’s one thing that kept us going, it could undeniably be our resolve to make it work. And, that’s the only way to work it, in the existing music scene.